Get all 22 Hero Records releases available on Bandcamp and save 80%. Includes unlimited streaming via the free Bandcamp app, plus high-quality downloads of Losers and Fools / Hole In My Heart (HR017S), Killing Me (HR016S), Shake Me (HR015S), Back To The Music (HR014S), Forever Tomorrow (HR013CD), Feeling Inside (HRD001), Not Mine (HR012S), Faraway (HR011S), and 14 more. , and , . A nice brand spanking new shiny 7" vinyl record featuring 'Ain't No Use' and 'Classic' plus an immediate download of the full digital single including instrumentals and acapellas. You lucky, lucky people! Includes unlimited streaming of Ain't No Use (HR007S) via the free Bandcamp app, plus high-quality download in MP3, FLAC and more. After a busy 2011 releasing a series of limited edition vinyl 7″ singles Hero Records are back for 2012 with more fat beats and funky grooves. Kicking things off in fine style is a new single from Frameworks & QNC that we are very excited about. 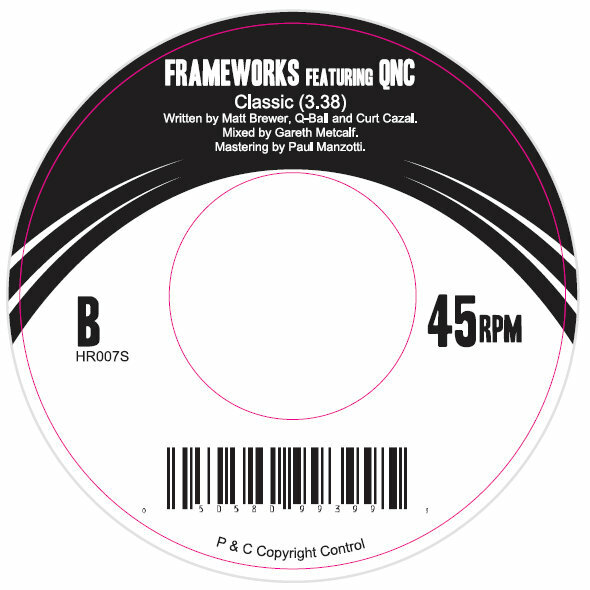 On this dope double-sider of classic hip hop, Manchester producer Matt “Frameworks” Brewer is joined by no-less than legendary New York MCs QNC (aka Q-Ball & Curt Cazal of J.V.C. F.O.R.C.E. fame) to bless his dope beats with their amazing lyrical skills and microphone techniques. Featuring the funk-filled “Ain’t No Use” and the heavier head-nodder “Classic” on the limited edition 7″ vinyl as well as the added bonus of the instrumentals and acapellas on the digital release this single is a must for fans of proper hip hop the way it should be done. 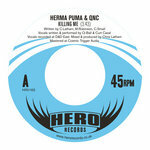 QNC should need no introduction but if you have been hiding under a rock for the last 25 years then they have released singles on seminal labels such as Gee Street and D&D as well as the album “Dynamic Duo” on Grand Central and have been featured on releases by the likes of Aim and Rae & Christian. Phew! Not to be outdone by his MCs, Frameworks will be doing his best to catch up in 2012 by releasing the downtempo Vanish EP featuring vocalists Sabira Jade and Ríoghnach Connolly on First Word Records and an album alongside Blu Rum 13 on My First Moth Records as well as this single full of funky, summery hip hop vibes and dope beats on Hero Records. Funky & fresh for 2012. Support the artists, buy new music! [*] Cuts on “Ain’t No Use” by Omas (My First Moth). 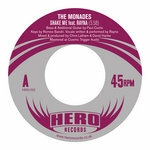 Released on 16 July 2012 on limited edition 7″ vinyl released via Kudos Distribution. Digital download available from iTunes and all good online digital retailers. 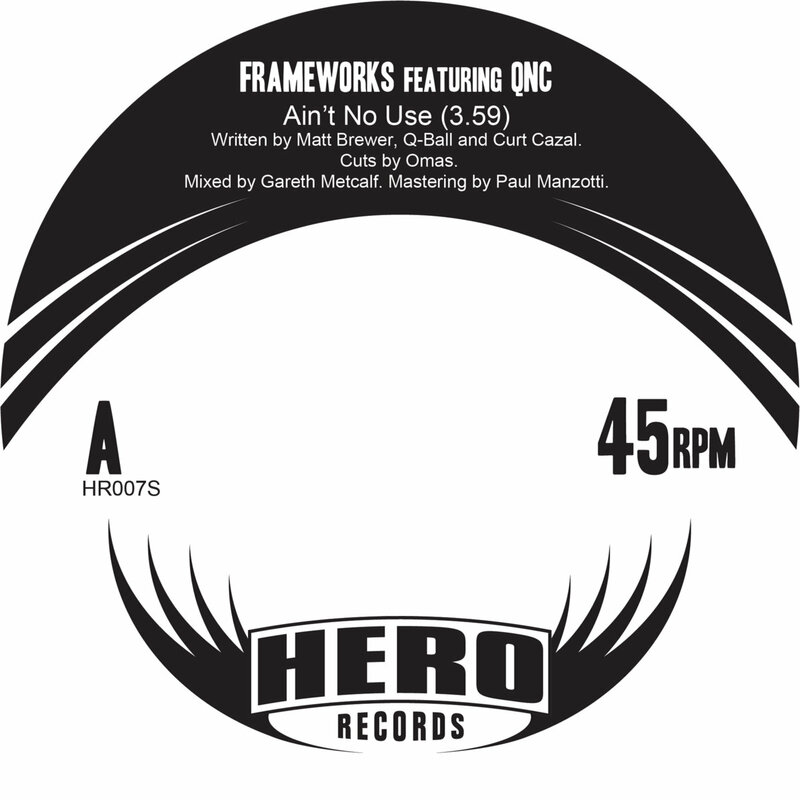 Hero Records is a UK label specialising in vinyl releases and digital downloads of the best in funk, soul, hip hop, jazz and breaks. Their forthcoming release schedule includes singles from Frameworks & QNC, Weekend Sun and Mistah Bohze as well as the debut album from Mash & Munkee. 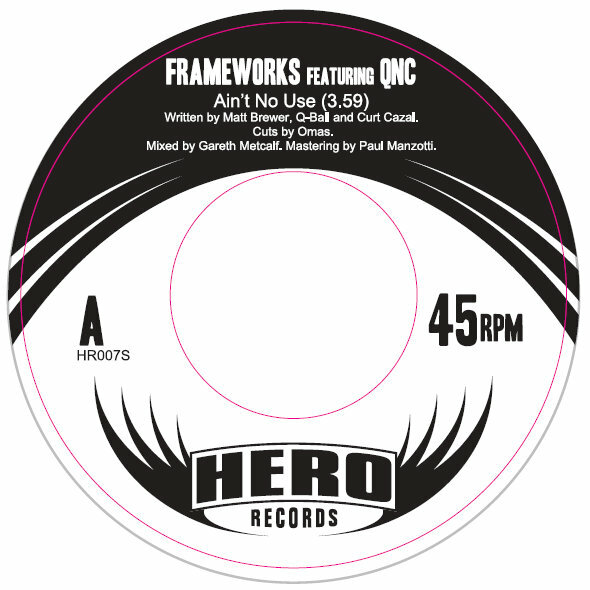 Previous releases have received support from the likes of Smoove, DJ Format, The Herbaliser, Andy Smith, Steve Lamacq, Coldcut, Craig Charles, Dr Rubberfunk and Bill Brewster.